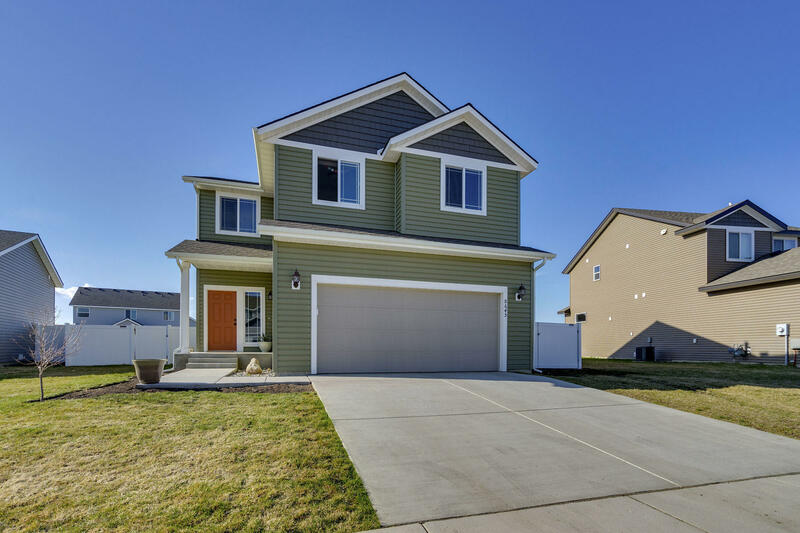 Beautiful Post Falls 2 story home on a full unfinished basement! Built in 2017 this Spacious 3000+ sq ft home has, 4 bedrooms, 2.5 bathroom plus loft area. Nicely landscaped with full sprinklers, concrete curbing in the back, raised garden beds and enlarged brick patio. High efficient furnace with central air, large vanity in master bathroom with stand up shower and separate soaker tub. Don't forget about the room to expand in the unfinished basement..endless possibilities! This home is ready for you to make it your own!